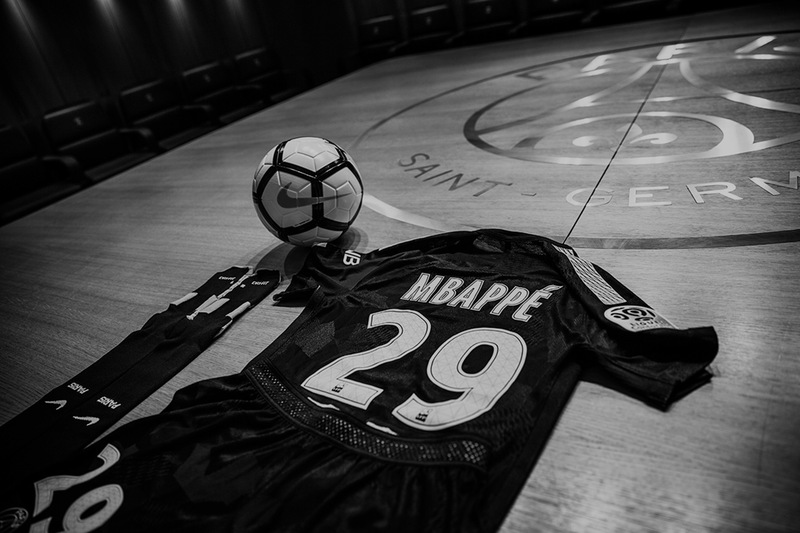 and any future official page managed by KEWJF on another Internet website and relayed by the website http://www.kylianmbappe.com. The GCU apply to all USERS of the WEBSITE. Their purpose is to define the terms of provision and the general conditions of use of the SERVICE. In consulting the WEBSITE or in using the SERVICE, the USER agrees to accept the GCU unconditionally and without restriction. The WEBSITE is accessible free of charge everywhere and to any USER having access to the Internet, WEBSITE access fees (computer hardware, software, Internet connection etc.) being at the expense of the USER. Some SERVICES can be restricted to MEMBERS and accessible following identification by a USER NAME and a PASSWORD. KEWJF endeavours to allow access to the WEBSITE and SERVICE 24 hours/24 and 7 days/7. KEWJF cannot be held liable towards the USER in the event of failure, interruption or alteration of access to the WEBSITE or to the SERVICE, whatever the reason. KEWJF reserves the right to temporarily suspend access to the SITE or to the SERVICE without notice, notably for maintenance reasons; KEWJF cannot be held liable for direct or indirect losses which may result from this, including the inaccessibility or loss of data for the USER. KEWJF reserves the right to modify the WEBSITE and the SERVICES at any time, temporarily or permanently, even without notice, without being held liable in any way. KEWJF reserves the right to refuse access to the SERVICE unilaterally and with no prior notice to any USER not respecting the GCU. KEWJF cannot be held liable where a MEMBER is unable to connect to the WEBSITE. Access to the WEBSITE allows access to the SERVICES. The games, contests and draws will each be governed by their own regulations; these games are by no means sponsored or associated in any way with the company operating the social network attached to the WEBSITE. The WEBSITE may contain hypertext links to other websites present on the Internet network, such as social networks. As far as KEWJF third party links are concerned, the USER acknowledges that KEWJF accepts no responsibility relating to the provision of the materials of these websites and cannot be held liable for their content. The USER is liable for damages of any kind, material or immaterial, direct or indirect, caused to any third party, including KEWJF, arising from the use or illegal operation of the WEBSITE or SERVICE, whatever the cause and place where the damage occurs. The USER guarantees KEWJF against the consequences or claims or legal action to which it could thus be subject. The WEBSITE USER expressly waives all claims against KEWJF in the case of prosecution carried out by a third party against it owing to the illegal use and/or operation of the WEBSITE or the SERVICE. The USER is liable for the use of his USER NAME and his PASSWORD, which he will ensure are kept confidential, so that no liability of KEWJF shall arise therefrom, in the case of the disclosure of his USER NAME or his PASSWORD by the USER. All USER CONTENT is posted online under the USER’s responsibility, who undertakes not to post online any content which could be detrimental to the interests of a third party. The USER CONTENT may be deleted or modified by KEWJF at any time and for any reason; KEWJF cannot be held liable thereof. KEWJF is the owner and/or holder of a license relating to the intellectual property rights of all the elements, notably the brands, illustrations, images, logotypes, photographs, videos, sounds and texts component of the WEBSITE or the SERVICE and, most particularly, the European Union brands nos 17157355, 17157363, 17157348 and the attributes of the personality of Mr Kylian Mbappé Lottin. Some photographs and videos have been made by service providers, notably by the photographer Julien SCUSSEL, who are solely responsible for this content and for which KEWJF cannot be held responsible. Therefore, any reproduction, representation, adaption, translation and/or partial or integral transformation and/or transfer to another Internet website of any element or data component of the WEBSITE or the SERVICE, by any means, for any reason and on any medium whatsoever is strictly prohibited without the prior written consent of KEWJF. The same applies to any copyright, drawing and model owned by KEWJF or for which KEWJF holds a license. The non-respect of this prohibition constitutes an act of counterfeit incurring the civil and/or criminal liability of its author. KEWJF reserves the right to take legal proceedings against any person who fails to respect this prohibition. It should be noted that some images can be downloaded by the USER; in this case, this option is expressly mentioned near the image concerned. The license thus accorded to the USER is for strictly personal (and non-commercial) purposes, for the use potentially specified alongside the image, for a period of two (2) years and worldwide. Any use not respecting these terms is prohibited and may be subject to legal pursuit by KEWJF. The USER grants to KEWJF his image rights to the photographs which he posts onto the WEBSITE free of charge, in such a way that KEWJF will be able to freely use the USER’s image for promotional purposes on printed media and the Internet (including social networks). KEWJF informs USERS that the personal data collected on the WEBSITE (surname, first name, date of birth etc.) is electronically processed for information and communication purposes such as the mailing of newsletters, promotion and prospection, as well as for any SERVICE which might be developed in the future. In addition to the legal obligations incumbent on Internet access providers and WEBSITE hosts, processing of connection data can be carried out for statistical purposes. KEWJF is also likely to use USER’s personal data to meet its legal and/or regulatory obligations, as the case may be. This processing will be subject to a declaration to the CNIL. The recipients of the personal data are KEWJF and any partner and service provider appointed by it and are kept for a period of three (3) years, which may be renewed with the USER’s agreement. In accordance with Law n° 78-17 regarding “Informatiques et Libertés” [Information Technology and Freedom] of 6th January 1978 and modified in 2004, USERS have a right of access and rectification of the information concerning them. They can also, for legitimate reasons, oppose the processing of their personal data. KEWJF undertakes to respect the guidelines relating to the end-use of its personal data following the death of a USER as soon as KEWJF is informed of these guidelines by a duly authorised person. Any request to exercise the right of access, rectification or opposition should be made in writing, be signed by the requester, include the address to which the reply should be sent, be accompanied by proof of his identity and sent to the following address: Verheyden & Cognard, 57 bis, boulevard de Rochechouart – 75009 Paris. Via e-mails known as “prospection”, KEWJF may send USERS subscribing to its newsletter information allowing them to know more about the WEBSITE, to use it better and to know more regarding the SERVICES offered. The USER will have the possibility to oppose the use of his personal data for this purpose without charge, other than that linked to the sending of the refusal, either when the data is gathered or each time a prospection e-mail is sent to him, notably by clicking on the unsubscribe link present at the bottom of each newsletter. Other SERVICES may be offered to MEMBERS. The latter undertake to give exact information concerning themselves and to keep it regularly up to date. Minors, according to the legal age of majority in their home country, are deemed to have obtained the agreement of their parents/legal guardians to subscribe and have access to the SERVICES. KEWJF reserves the right to suspend and/or terminate access to the SERVICES, in whole or in part, to any USER not respecting the GCU or displaying inappropriate behaviour relating to the purpose of the WEBSITE. KEWJF reserves the faculty of unilaterally modifying the GCU without notice. Broadly speaking, the USER is invited to consult the GCU prior to any use of the SERVICE or WEBSITE. By accessing to the WEBSITE or SERVICE, the USER is deemed to have accepted the modifications which have thus taken place unconditionally and without restriction. If one or several of the provisions contained in the GCU were invalidated for any reason whatsoever, this shall not invalidate the remaining provisions. The GCU are drafted in French and translated in English for convenience only. Only the French version shall apply. The GCU are governed by French law. Any dispute shall be submitted exclusively to the French courts under the jurisdiction of the Paris Court of Appeal.